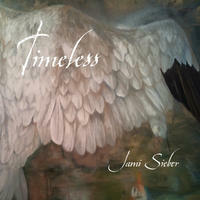 Timeless, the latest album by visionary cellist Jami Sieber, is a transmission of pure stillness, sacredness and prayer. Layer upon layer of cello transport the listener into a world without clocks or calendars, where stress and striving dissolve, the heart melts open, and the walls that separate us from each other, nature, and our own self-love magically crumble. Timeless conveys a powerful presence that goes beyond the haunting melodies and velvety striations of cello and voice. It invokes a realm where inner experience - be it meditation, massage, movement, or stillness - is deepened and intensified. This is powerful musical medicine. "There's a world behind the world we see that is the same world but more open, more transparent, without blocks. Like inside a big mind, the animals and humans all can talk, and those who pass through here get power to heal and help." May this music take you to this world and bring peace to your heart, to your life, and to those you touch. License Enchanting cello compositions by Jami Sieber for your project. Play the music of Jami Sieber in your restaurant or store.